Things have changed significantly over the past few years when upgrading the engines in sterndrive or inboard marine powered boats. PPT is the #1 source for marine products and technical guidance to customers wanting to upgrade the motor their boat, BUT not understanding how these new rules effect their available options. Please be aware that the EPA rules are not just limited to NEW boats. 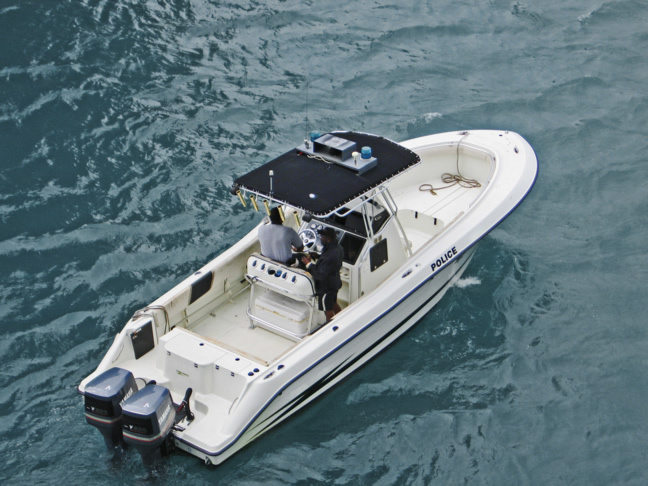 There are specific provisions that affect your available product options regarding both new and remanufactured engines that are used when upgrading older boats. There are specific options in the EPA provisions available to address older boats, but each individual manufacturers’ program may vary. (Updated 2016) There are no longer any new, catalyst equipped, carbureted marine engines available today in the completely dressed out Bobtail Engine form. Therefore if you are currently trying to find a NEW “non-catalyst equipped” MerCruiser carbureted bobtail engine – this isn’t available any longer. 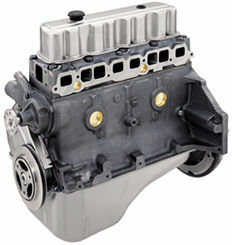 The only carbureted models available from MerCruiser at the time were the 3.0L and 4.3L models which have been or are currently being discontinued. Several years ago they did allow this by returning your existing engine per the EPA guidelines. 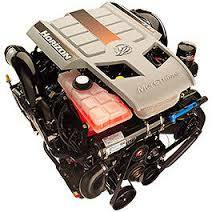 However, this option made up only about 1% – 2% of the repowers happening because it required special ordering the engines from MerCruiser which then required a minimum 16 – 20 week lead-time for delivery. NOTE: A brand new EFI turnkey bobtail marine engine “without emissions control” can be used to REPOWER older boats that were not originally equipped with emission controlled engines. This applies when the newer emissions controlled engines are not compatible/feasible with the older boat application. Please note that the non-catalyst equipped engines are not inventoried and therefore will normally take between 16 -20 weeks for delivery. Also be aware that EPA requires you to return the old engine you are replacing to MerCruiser to “Offset” the new engine being put into service. This option makes up about 1% – 2% of the upgrades happening today. Federal law mandates that the engine being replaced must be returned to the manufacturer of the new engine – EPA Code 1068.240. This is similar to the Automotive sector’s “Cash for Clunkers” program that required destruction of the car to receive a rebate. The ability to purchase engine with no emissions control is the “rebate”. 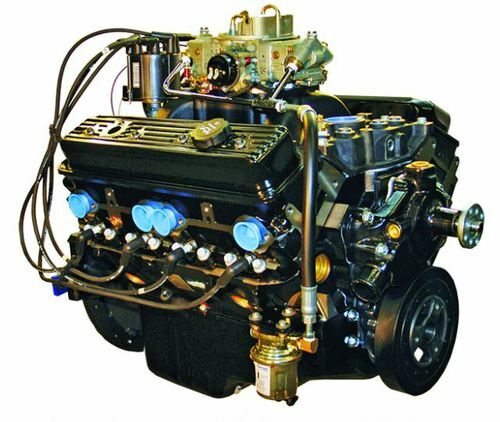 Simply return the old engine in the returnable engine container supplied by the manufacturer. This satisfies the return of the old engine. All freight for these returns is paid by Mercury/MerCruiser. Mercury Marine Remanufacturing offers factory Certified Pre-Owned (CPO) MerCruiser engines as well as their own remanufactured engine product line which includes the Plus Series sterndrive and inboard models. These products can be used to upgrade new boats as well as pre-2010 boats in 49 states. They can also be used to upgrade pre-2008 boats in California. This option likely makes up over 50% of the repower upgardes happening today that require a completley dressed Bobtail engine vs just a longblock. At this point the new partial engines do not require returning the existing “worn out” engine that is being replaced. However, in some cases the EPA is beginning to require that the purchasing customer sign an affidavit indicating they will destroy the old longblock being replaced such that it is rendered inoperable. This achieves EPA’s desired purpose for this Guideline being that the NET effect will be NOT adding any new un-catalyzed emissions into the atmosphere. This option makes up between 10%-15% of the upgrades happening today. The information provided on these pages is correct to the best of our knowledge at the current time, however Performance Product Technologies LLC makes no warranty, express or implied, regarding the use of, results of, or liability created from, application of this data. This information is disseminated in good faith, however Performance Product Technologies LLC assumes NO LIABILITY whatsoever in regard to this service. The information, products, prices, and services published on this web site may include inaccuracies or typographical errors. Changes are periodically added to the information herein. Performance Product Technologies LLC may make improvements to this site at any time.